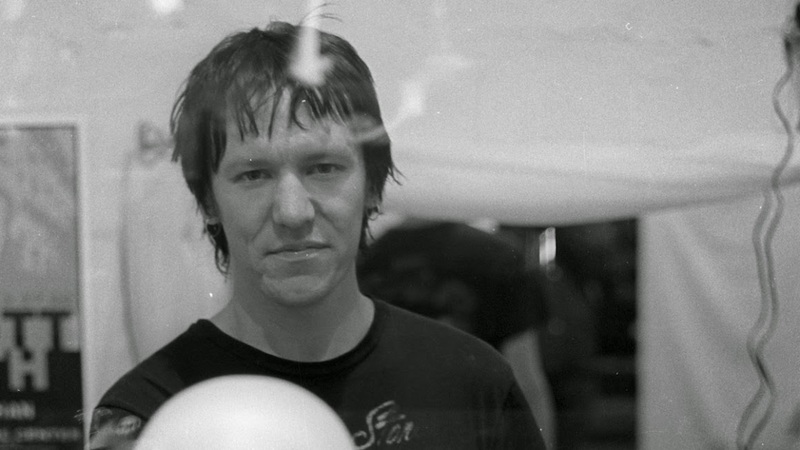 This is a celebration of the life and times of musician Elliot Smith a singer songwriter who died a few years after getting nominated for an Oscar for Miss Misery, a song which appeared in the film Goodwill Hunting. I'm not really sure what to say about the film. It's a lovely beautiful to listen to film that in a weird way is a better radio documentary then a motion picture. I don't know if that's a good thing or a bad thing,but for me it's true. I say this because when I saw the film as a screener for DOC NYC I was watching the film with a set of headphones on and after a while, I stopped watching the talking heads, photographs and seemingly endless landscape shots and just enjoyed the music and Smith's voice. What was on screen was less important than the words and music. Occasionally I'd look up to see who was talking but mostly I sat in my seat with my eyes closed and my head bowed. ...but listening to the film kind of defeats the film as a cinematic experience. I'm not sure listening to the film really says much about the film as a film. To be honest I'm not sure what I think of the film as a film... no that's not true I do, I don't think it fully works. The problem is that the images aren't as compelling as the music. Listening to the film, which has music from end to end it much more transportive then the images. How many shots of talking heads can we look at, how many stills of Elliot are we going to look at, and more importantly, how many shots of roads, trees, hall ways and other things are we going to look at before we close our eyes and just listen to the beautiful music? For me the images didn't matter the music did. I should probably say that I'm not a "fan" of Elliot's. I had seen him in concert as an opener on a multi-act bill and he made enough of an impression on me that I knew I had seen him. My interest in seeing the film was purely to get to know something about the man. To some extent I did. But how is the film? As a film it's probably going to be best viewed by fans of Elliot Smith. As an audio experience fantasia on the life and times of the artist it much better. Definitely worth a look (or a listen) though I think it maybe best viewed in a theater by Elliot Smith fans anyone else can wait for home video. The film plays DOC NYC November 15th at the SVA theaters. For more information and tickets go here.